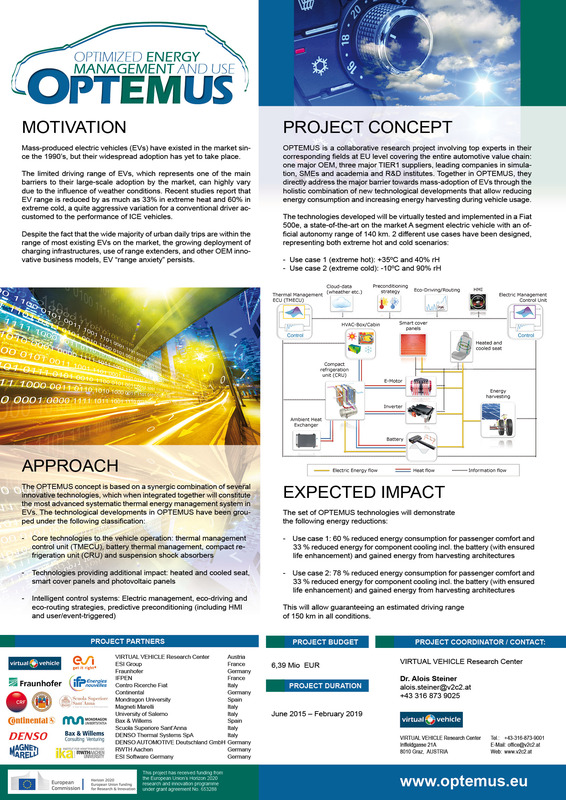 A poster of the OPTEMUS project was presented at the “The European Project Day”, which took place on the 1st of December in Brussels in the framework of the “European Battery, Hybrid and Fuel Cell Electric Vehicle Congress”. This special day aimed at providing the audience with a complete overview of the different programs supported by the European Authorities (FP7, Horizon 2020, etc.) and related funded projects dealing with e-mobility.